We would like to welcome you to Canberra, Australia’s National Capital. Canberra can offer high quality excursions for international school groups. There are many exciting attractions and programs that will provide a source of interest, education and cultural insights. Over 160,000 Australian students visit Canberra each year to participate in programs that are curriculum linked and based on world’s best practice. The cultural institutions and attractions in Canberra have been working on developing similar programs for visiting international students. 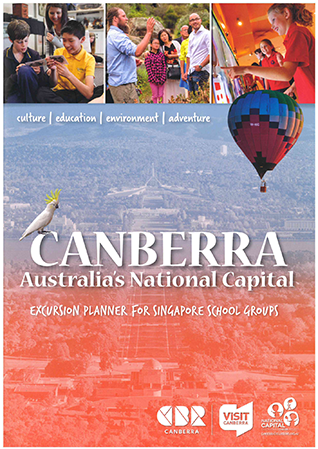 We invite you to view the attached excursion planner which has information on Canberra attraction programs, accommodation and much more. Below is a list of tour operators that have an extensive knowledge of Canberra and its excursion product.